Fashion Assistance: Clint Eastwood, Leonardo DiCaprio y Naomi Watts en el estreno en Hollywood de "J. Edgar"
Clint Eastwood, Leonardo DiCaprio y Naomi Watts en el estreno en Hollywood de "J. Edgar"
Clint Eastwood, director y productor, Leonardo DiCaprio y Naomi Watts, acudieron al estreno de "J. Edgar" en Hollywood. La actriz australiana, una mujer con un estilo elegante y chic, eligió un vestido de aire retro en color hielo con aplicaciones de lentejuelas en plata de Stella McCartney, que combinó con sandalias a juego y joyas de Cartier. 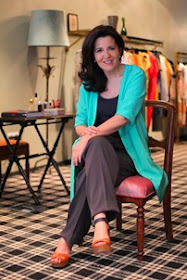 Look ganador!! 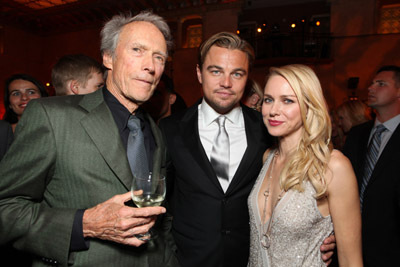 Clint Eastwood, Leonardo DiCaprio and Naomi Watts attend the after party of Warner Bros.' World Premiere of "J. Edgar" at the Opening Night of AFI Fest at Grauman's Chinese Theatre on November 3, 2011 in Hollywood, California.